Off the back of the recent Ancestry ad campaign, which was inspired by the insight that 60% of our DNA comes from continental Europe, we wanted to celebrate Britons’ enduring connections with Europe and get them to think about using AncestryDNA to investigate their own roots. 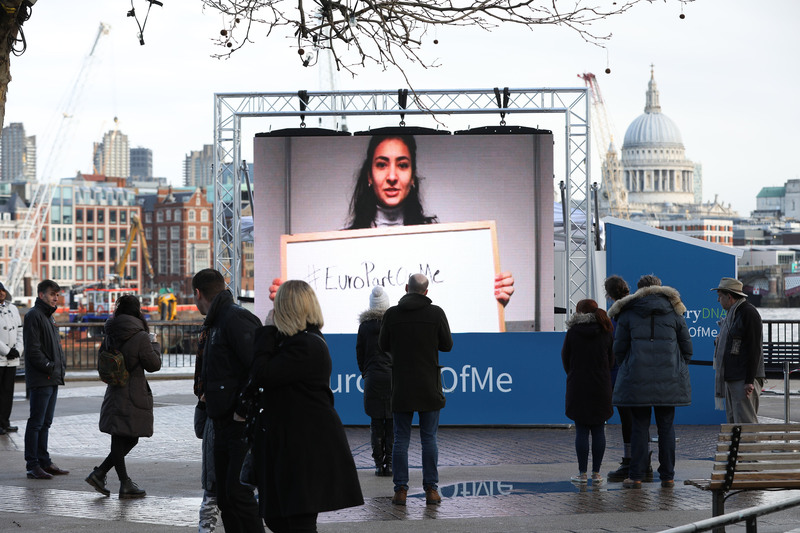 To do this, we created #EuroPartofMe a campaign that sought to rise above the divisiveness of the 2015 referendum by bringing together Britons to celebrate their European links, no matter what their views were on staying in the EU. To launch the campaign and ensure an inclusive message, we brought together prominent leavers and remainers, including Iain Dale, June Sarpong, Cheryl Baker and Alastair Campbell to create short video clips celebrating their own European connections. We then opened up the campaign to the public, with a major installation on London’s South Bank, inviting passers-by as well as other journalists and influencers to take part. To drive online talkability #EuroPartofMe was the sponsored hashtag on Twitter that day. Across social media, we drove more than 900,000 views of the #EuroPartOfMe film and 2,600 hashtag mentions. The campaign also delivered supportive coverage from our influencers across the national media and was featured on Sky News on the morning of the South Bank event.